I love to plan ahead and surprise my family with fluffy rolls for breakfast. 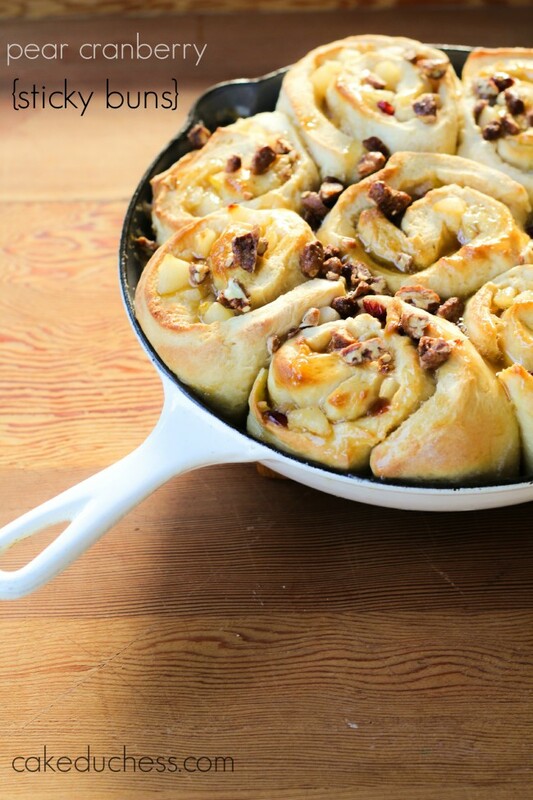 I love to bake cinnamon rolls and probably could have a tray each Sunday morning. But, that isn’t reality! So in honor for #TwelveLoaves September Pear challenge (and to find a good excuse to bake some buns! 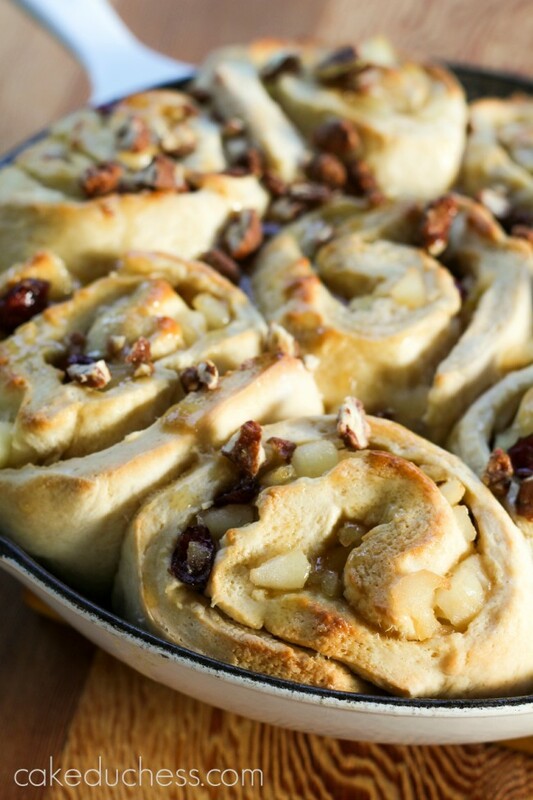 ), I baked these lovely Pear Cranberry Sticky Buns. 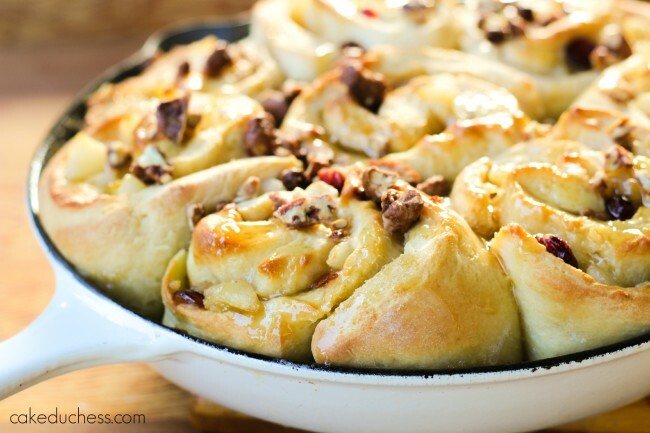 What is the difference between your typical buns and sticky buns…well, the sticky part, of course! You could make these as sticky as you’d like. I always lean towards less in stickiness…but I did have extra glaze on the side to pass on to my friends that I shared these with. Because they were looking for MORE STICKINESS! #TwelveLoaves -September: Hosted by Camilla of Culinary Adventures with Camilla. Welcome, fall baking! The month of August was all about baking with fresh, summer herbs. 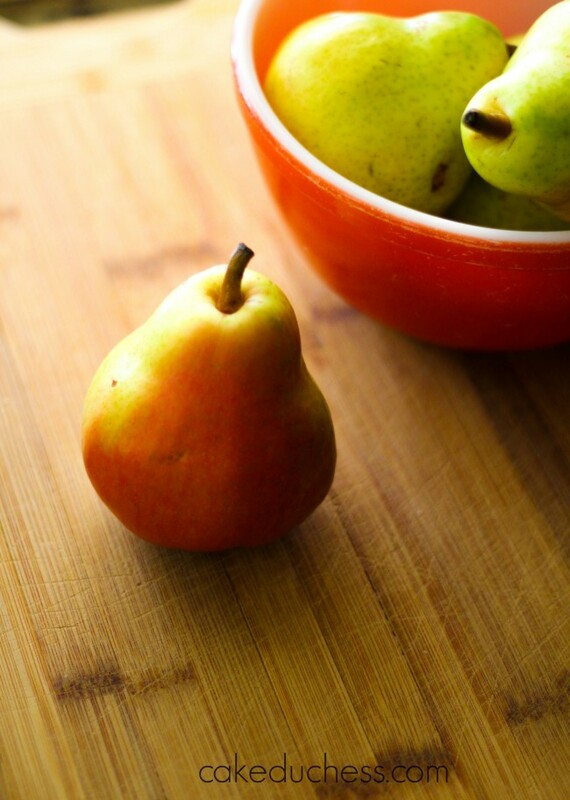 September is all about baking with PEARS! Let’s share flat breads, rolls, buns, grilled breads-whatever sweet or savory version you’d like and whatever you feel reflects summer flavors! Whatever you bake, (yeasted, quick bread, crackers, muffins, braids, flatbreads, etc) have fun and let’s have a delicious month of bread for Pears. Let’s get baking! Look at the wonderful pear breads the #TwelveLoaves bakers have created! I just get giddy when the temps drop a little. I have to say, they haven’t dropped even minimally here and it was a challenge to get into the mood and bake a yeast type of a bread. But the smell of these sticky buns baking reminded me it was definitely worth the extra work! 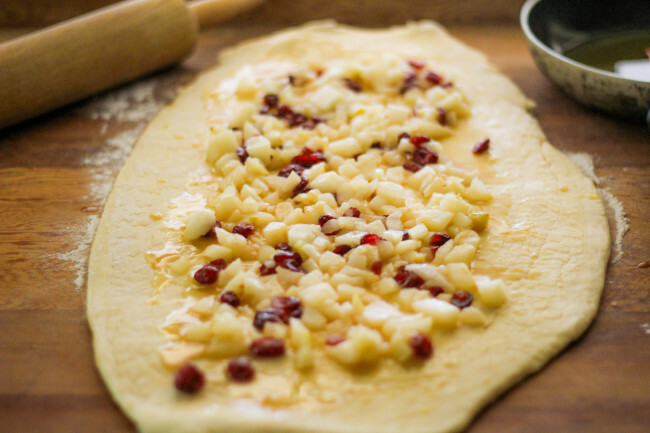 The dough is such a great dough recipe…very easy to put together. 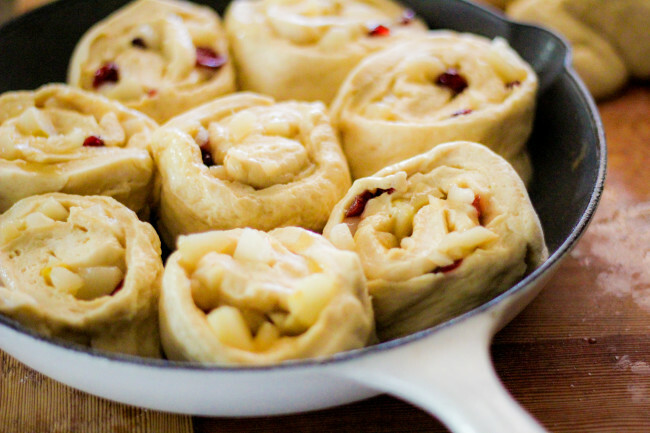 I thought of adding the cranberries to the filling instead of raisins. My kids aren’t crazy about raisins in my baking…they prefer chocolate chips! I didn’t add chopped pecans to the filling, but if you love pecans, you could certainly sprinkle some in! I sprinkled some on top after I added the sticky glaze. I didn’t add the whole amount of the glaze, because it’s too sugary for us…but I did reserve on the side and saved it for our friends that we shared some rolls with (they were thrilled for extra glaze!). I’m thinking of this filling again…and I’m thinking of cakes and pies with pears! Oh, I love baking with pears! Can’t wait to see what you inspired bread bakers come up with! Happy baking! cranberries. Stir to mix and set aside. 12-inch rectangle. Spread the butter-sugar mixture over the dough. saucepan over medium heat. Stir in brown sugar, cream, honey and salt. brown and glossy (3-4 minutes). When rolls have finished baking, remove from oven and transfer to a wire rack; let cool 10 minutes.